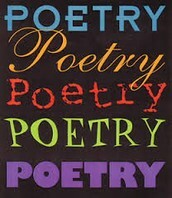 Have you begun planning for poetry month? 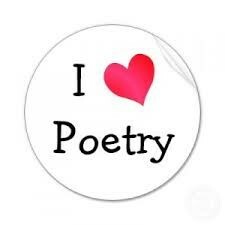 As a teacher, I dreaded this time of year because I got bored with the same old poetry routines. If I was bored, I’m sure my students were too. Then I began to research different kinds of poems and realized that I was doing my students a disservice by focusing only on the silly rhyming student-friendly versions. I wish I would have had the information below to help me with my planning! Read on to learn some new ways to get your students more involved in poetry. This information comes from www.edutopia.org and the blog titled BRISK AND BRIGHT APPROACHES FOR NATIONAL POETRY MONTH by Brett Vogelsinger. Enjoy! Take three minutes to sketch what you see in the poem. Take five minutes to discuss how our sketches differ and what we chose to highlight from the poem. Recently, we created three-minute sketches based on "Little Citizen, Little Survivor" by Hayden Carruth, a poem about a rat in a woodpile. Such a simple topic spurred such varied visuals, leading to a discussion of which details were most important in the poem. Read it like a wave in a baseball stadium, each person getting one word to read aloud. Read it this way in a circle, repeating the poem until the language becomes smooth and fluid, like a wave. Chop a short poem up into lines, or dice a really short poem into words, and put them in an envelope. Pass out the envelopes and have the kids construct a poem from the pieces. Then reveal the published original. Students think through the logical cohesion of the poem, and sometimes find surprising new combinations of ideas in their own versions. 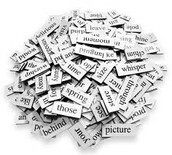 Use Wordle to create a wordsplash of all the nouns in the poem. Based on those nouns, have the students predict what the poem might be about. 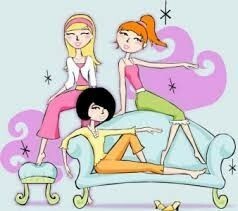 Afterward, discuss which nouns were used figuratively and why. Rewrite the poem in contemporary language. Alternately, you could make the poem more local by changing the setting to reflect the area around your school. After reading the poem once in a normal tone of voice, challenge the kids to interpret it aloud in an overzealous, dramatic style. Not only are the results hilarious, but each one is different, and it will highlight shades of meaning and weaknesses in lines that might not otherwise stand out. Replace five words in the poem with five different words that will either destroy the quality or completely change the subject of the poem. To whom would you like to give this poem and why? Write for three minutes in your journal, and then share with a partner. How does this seemingly unrelated poem connect with something bigger that we are reading or have read in class? Hearing a poet read his or her poem, or watching a slam poet perform, tends to give even a more cryptic poem an entirely new dimension. Thank you, internet -- we have no problem finding these now! Read a contemporary poem, look up the poet's contact information, and share your interpretations with the poet via a class email. In my experience, poets seldom want to impose an interpretation on their work, but they are often willing to share inspirations for the poem and which of the class interpretations they feel are most consistent with their word choice in the poem. We've had some nice exchanges with Jason Tandon, Sean Hewitt, and former poet laureate Robert Pinsky, to name a few.